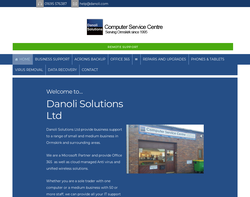 Danoli Solutions Limited offer Website design and building packages as well as offering servicing/repair and training services/. dynanti produces web sites for all size of business, club, charity, and social enterprise, that are fast loading, pleasing to the eye, usable, easy to navigate and accessible by everyone. 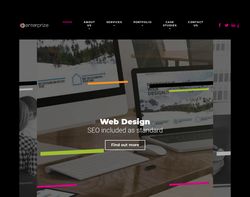 We are specialists in search engine optimisation, usability and accessibility and our partners are highly qualified - both holding First Class honours degrees in Web Systems Development. Graphic design and marketing services, including logo design, corporate identity, brochure and web solutions. 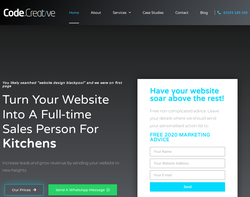 Newton Design are a freelance design company who specialise in commerce, website template design, flash and hosting. 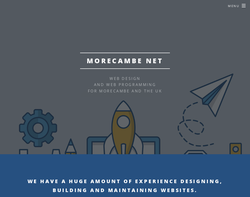 Morecambe Net specialise in affordable web design in Morecambe Lancaster by providing high quality website design and hosting for businesses. Hot Creative specialise in brand identity, corporate identity, corporate literature, advertising, promotional literature, direct mail, new media design, exhibition design and publishing design. Orbit provides web design and web development services tailored to a clients specific needs. 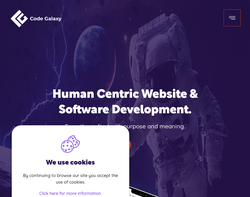 Development may include site design, e-commerce solutions, database integration, web promotion and bespoke software development as well as providing electronic data exchange through XML and SOAP based solutions. Pure Creative provide graphic design solutions for all kinds of people, businesses & organisations. Full service agency: Design, print, web & interactive. 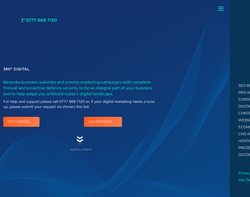 Forte Trinity are a "One Stop Shop" for commercial web design, hosting, e-mail, e-commerce, Search Engine Optimisation and Intranet development. 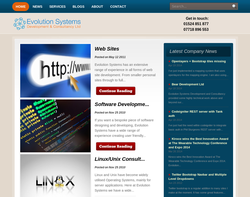 Evolution Systems specialise in Web Development, Software Development and Linux Consultancy services. E-commerce, Marketing and Website Design. Graphics, Web Design, E-commerce, Search Engine Optimisation, Domains. Our aim is to develop professional web sites and shopping cart solutions for businesses, organisations and individuals at a cost that is within their budget without compromising quality, and to provide continuing support and excellent service to all our clients. We specialise in E-Commerce sites, we offer the full package from adding all your products, to integrating the payment gateway to your bank account. 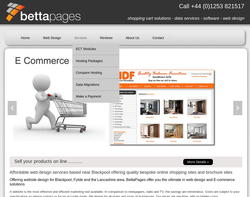 We offer bespoke web development including e-commerce and mobile websites. We also offer Internet Marketing packages. 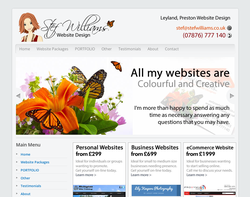 One-stop shop for web design and hosting in Preston, Lancashire. Supporting local trade by offering small businesses an easy and affordable way to get online or to refresh an existing website. 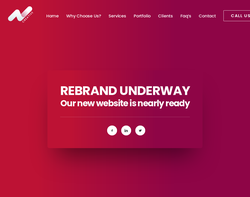 A colourful and creative website designer offering Brochure Website, eCommerce Website, Graphic Design, Photography and SEO Services. 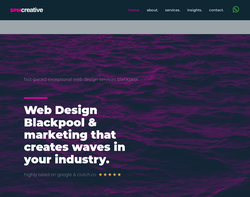 Based in Lytham St. Annes, Digital Tiger Media is the advertising and marketing brand for AW Software Consultancy who provide web design services to clients throughout the UK. Formed in 2010 the company has over 15 years of experience in the IT sector. The company is run and managed by Ash Wilson MBCS, a professional member of the British Computer Society. Ash has a wealth of IT experience having started out as an Analyst Programmer back in 1997 when he worked for the UK�s largest estate agency chain, responsible for developing their electronic Point of Sale system (POS) to sell mortgages, life assurance, pensions and general insurance. Ash then went on to manage the team of software developers / testers and was responsible for the full software development lifecycle from initial idea conception, through specification writing, development, testing, training users, rollout to post implementation review. Now working on a freelance basis Ash is passionate about providing a quality, personal service to companies with customer satisfaction being his #1 priority. 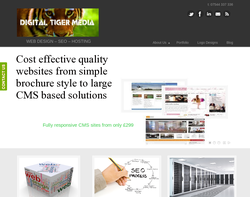 We pride ourselves here at Digital Tiger Media on providing the most flexible Web Design packages at affordable prices. 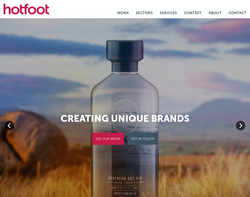 From creating a one page brochure style website to an enterprise level ecommerce store, we are sure we can provide a professional website to suit every budget. 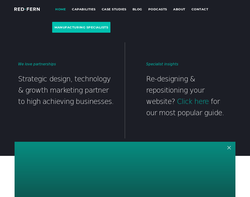 Neoteric UK is an enterprising and a resourceful Web Development and Internet Marketing Agency that can catapult your business by employing its hard earned expertise in web design business and far-reaching impact of digital marketing. Having augmented the business of more than 5,000 online businesses, we can boast of having a highly professional and committed team that handles every stage of design and maintenance in house, thereby further enriching the value and the outcome.We also Offer Mobile website Design and Development UK. 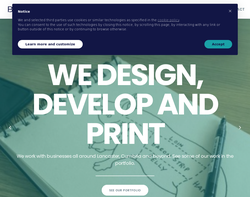 Our professional Lancashire based web services include: - Consultation - Conceptual designs - Joomla Content Management System (CMS) - Wordpress CMS - Templates to fit your corporate design - Site / data migration - Functionality to meet your requirements (e.g. e-commerce, events diary, slideshows & galleries, blogs etc) - Accesibility functionality & templates - Search engine optimization - Full on-site training - Post implementation support We would be happy to provide a quotation based on your specific needs. Please contact us today to discuss your requirements. We design and develop high quality responsive websites ie. 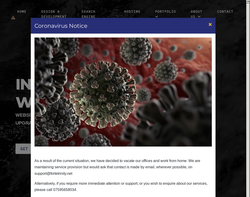 ONE website for ALL devices, We also have a constantly updating list of services that we can provide so please view via our main website. 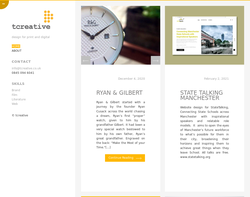 We provide our clients with clean fresh looking responsive websites that will work on any device (mobiles and tablets). 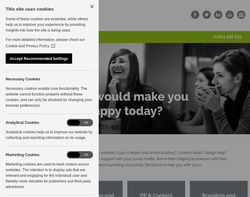 All sites are bespoke to that client. 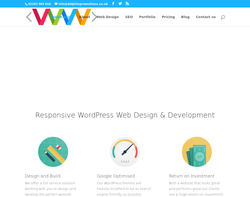 Our websites are designed using Wordpress are built to work on the search engines. 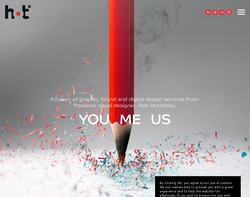 Beautifully designed websites that work. We mainly build in WordPress however we have capacity and resources for more complex builds using different CMS. We have the best talent in our creative team that passionate about great design and solutions. Good website design and development is an essential part of today's business market. We have designed and developed websites for clients across a wide range of industries as well as integrated SEO into their plan to make sure they are getting the best exposure possible. Read more about how we can help your business increase sales and exposure. Our core business is "start up" websites. We understand fully the limits on finance, materials, examples and testimonials of your work. Hence our 2 Step Web Design process. We are confident we can help you. 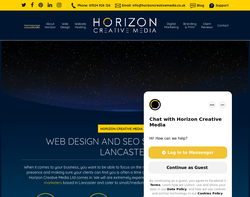 Full-service digital website designers agency creating professional websites, web design and search engine marketing campaigns to clients throughout Lancashire and the UK. We help businesses develop a superior online presence, to broadcast their services and increase sales. We achieve this with bespoke website design, email marketing, SEO, branding, paid ads and social media marketing. 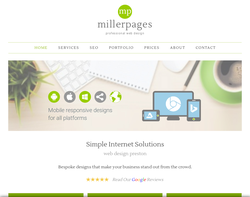 We offer award winning web design to exisiting businesses and start ups. 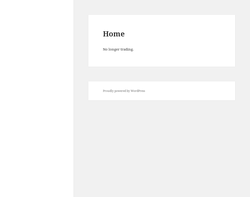 All our websites are built using the latest technology and standards. We can offer bespoke brochure websites to full eccomerce solutions.